Owning a brand new vehicle certainly has its valid points, including that heavenly “new car smell” and showing it off to friends and family. These are no reasons, however, to spend thousands in additional funds for a car. New autos carry a measure of extra stress, too, in that we worry about damaging both the inside and outside whenever it’s driven anywhere. A pre-owned car does not garner excessive worry. Buying used also helps on the depreciation front. New vehicles depreciate from 20-30% during the first 24 months of ownership. 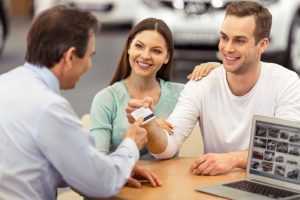 You do not have to have bad credit to take advantage of used car tips buying with poor credit in St Louis. Buying used allows you to afford more options than you may be able to spend on a new model. You can be assured that you will get at least 7 years (typically more) of dependable driving by purchasing an auto that is 2 or 3 years old. Vehicle manufacturers today build strong, reliable autos and having 100k or more on the odometer is fairly common. Most dealerships offer a variety of vehicles and choices for financing; even auto loans after foreclosure. 5 Star Auto Plaza is a community leader for affordable prices and a varied inventory of popular pre-owned cars, trucks, SUVs and mini-vans. Speak with one of our sales members at (636)940-7600 for more information about our dealership and more used car tips buying with poor credit in St. Louis. It is worth both your time and money to stop and shop with us.